Oh my yummy, quick and healthy lunch option! I put this together for lunch a few weeks ago and couldn’t believe how much I enjoyed it. I now stock these ingredients and it has become regular fare. Fold up bottom, fold over sides. Take a big bite! 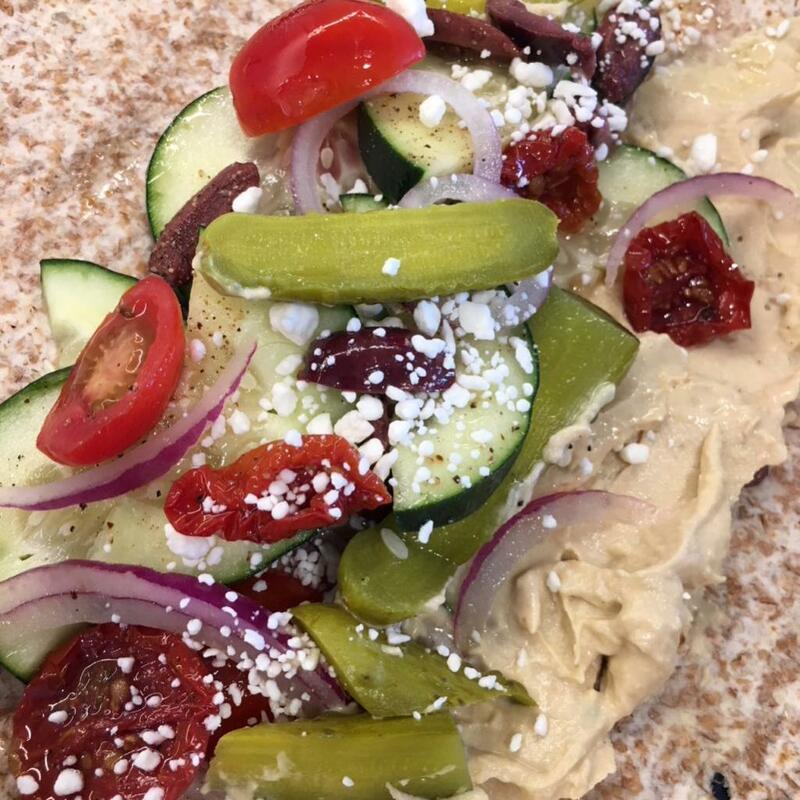 On your Mediterranean wrap I am going to give it a try today but will be leaving off the pickles due to the high sodium content as well as the Feta. That has tons of salt. I will let you know how I enjoyed it. You and John make each day (no pun intended) worth every breath I take. Thank you so much.